Kurashiki beautiful sight area !! Kurashiki (Okayma) was the Edo Shogunate’s (Government ‘s) demesne in the Edo period. 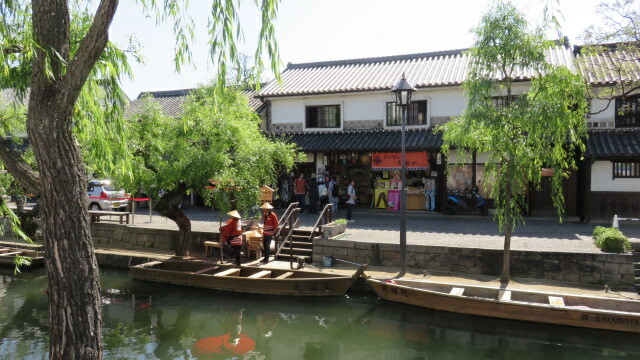 There are many merchant Kuras (or warehouses) with white walls reserved around the Kurashiki River. 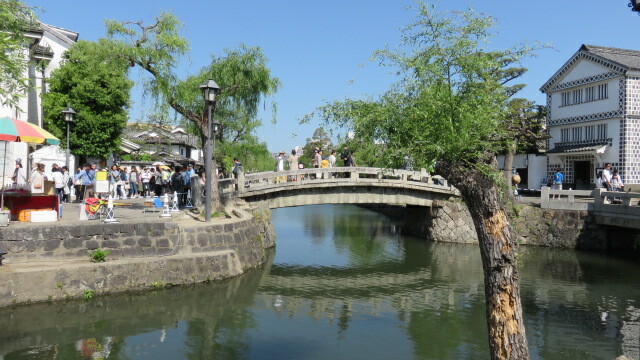 The area is designated as Kurashiki Bikan Chiku (Kurashiki beautiful sight area) by the government. 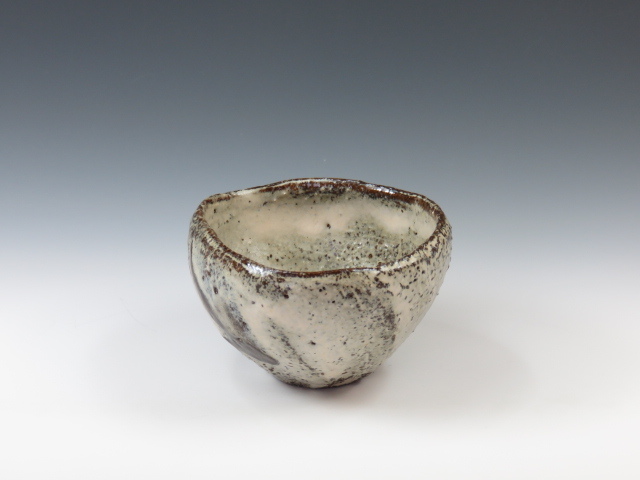 Sakatsu-Yaki was started,by Suekichi Okamoto, one of the richest merchants, using local good clay in the early Meiji Era here.